Alexandra started her career as an in-house lawyer in a counseling firm specialized in industrial property Harle&Phelip before joining CMS Bureau Francis Lefebvre where she practiced as a lawyer in the intellectual property department during thirteen years. Today, Alexandra is one of the founders of OSMOSE. She holds a Master degree in General Private Law at the Pantheon-Assas University, a Master degree in Industrial Property at the Pantheon-Assas University and a specialty certificate in intellectual property rights. She is a conference speaker at Formations Francis Lefebvre on matters relating to trademark law and lecturer in international trademark and patent law at Ecole Supérieure du Commerce Extérieure de Paris and IAE at Poitiers. 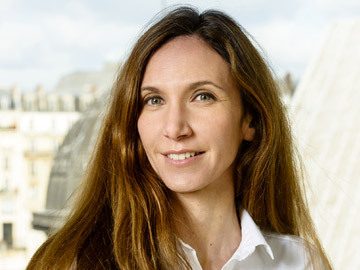 She is a member of the Association Française des Praticiens du Droit des Marques et des Modèles (APRAM) and the International Trademark Association. She regularly publishes articles on current issues in JCP E.